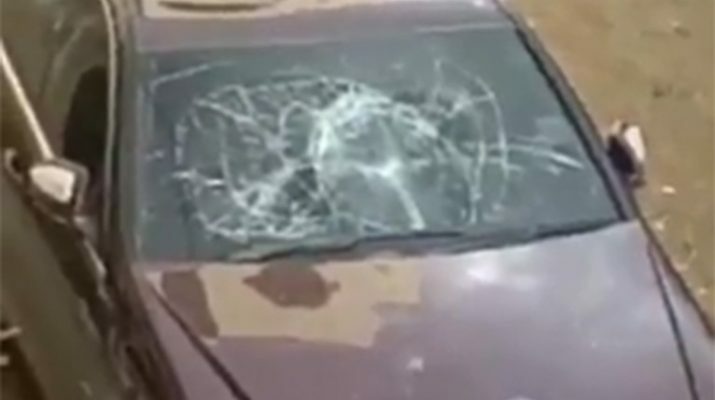 Woman destroys her cheating boyfriend’s Mercedes – Kenyatta University TV (KUTV). All Rights Reserved. A woman believed to be from Mombasa has utterly laid waste her boyfriend’s luxurious Mercedes Benz. The woman was in a bare back short red dress and was believed to be in company of two young men who are subsequently her accomplices. She was seen tainting the already brocken windshield before walking on top of the car. All this happened outside an apartment building in Mombasa and the woman was believed to be drunk. What bore the wrath of this young lass was her boyfriends’ alleged continuous cheating on her. Wrecking the car was the only way she thought she could get back at her boyfriend. All this was caught on video by a woman on her balcony, while at the same time expressing pity for the owner of the red Mercedes Benz.